I wish I had the four hours back. I would have preferred to read a book instead. 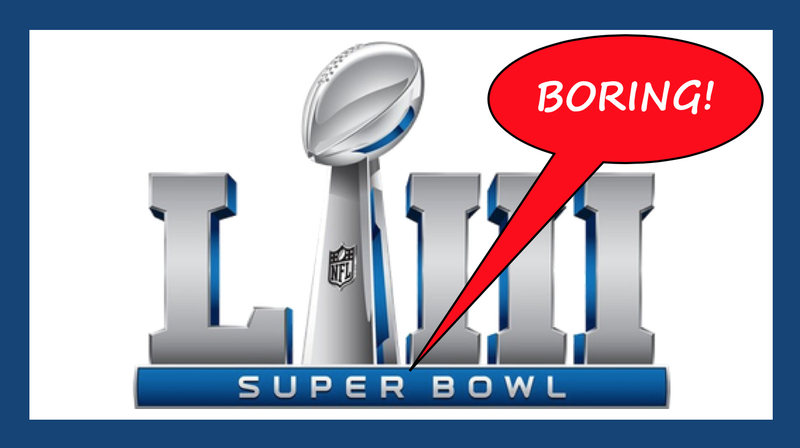 The Super Bowl broadcast was super boring. The game was boring. The commercials were boring. The halftime show was boring. Is it just me? What did you think? Previous PostPrevious Work Accidents: Which Industry Causes The Most?